Many thanks, Caitlyn. it is indeed a beautiful house! Thank you very much, Terri. Much appreciated. Many thanks for your kind comment, Nina. Thank you for your kind comment, Linda. Much appreciated. Many thanks for your gracious response, Toni. Much appreciated. Love the vibrant colors of this inviting home! Beautifully captured, Ann! 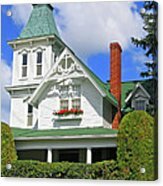 Tara, thank you for featuring Vintage Victorian in the Michigan Photography group. 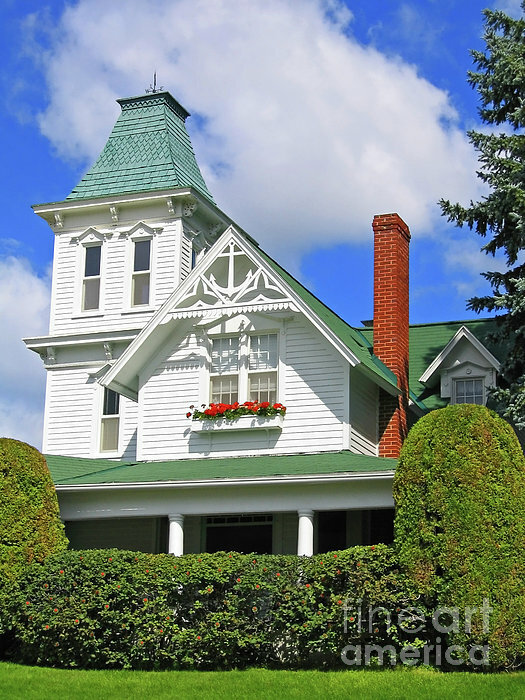 Pamela, thank you for featuring Vintage Victorian in the Abc Group H Is for House. Many thanks for your gracious comment and congrats, Angela. Much appreciated. Bruce, many thanks for the feature of Victorian Vintage in the Comfortable Art group. 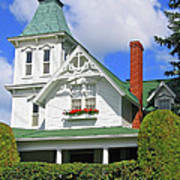 Bruce, thanks a lot for the feature of Vintage Victorian in the Architecture group. Thanks, Chris. Glad you like it. I think this house looks very prim and proper, as a good Victorian house should look! Love this old Victorian Houses.......you captured this one very beautiful Ann - Chris. Many thanks, Ken. Much appreciated. Ann this is stunning,, such crisp colors fantastic shot,, wow~~ bright and beautiful! An intriguing architectural image of this beautiful 'Vintage Victorian' home. 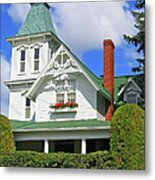 Its wide porch shaded by the green of roof, trees, and bushes, a stately Victorian house in a small town in northern Michigan gleams brightly in the sun. Copyright 2005 Ann Horn. ALL RIGHTS RESERVED. This copyrighted image does not belong to the public domain and may not be reproduced, copied, altered or manipulated in any way without the written permission of Ann Horn. ann-horn.artistwebsites.com.